Pumpkin and butternut squash get all the attention during Fall and Winter (and rightfully so because they are both delicious), but my favorite comfort food during the cold months is a plate of roasted Brussels sprouts. It’s the perfect complementary side dish to a roasted chicken, vegan curry, or even Thanksgiving turkey. But as much as I love Brussels sprouts, I can never make them as well as restaurants do. 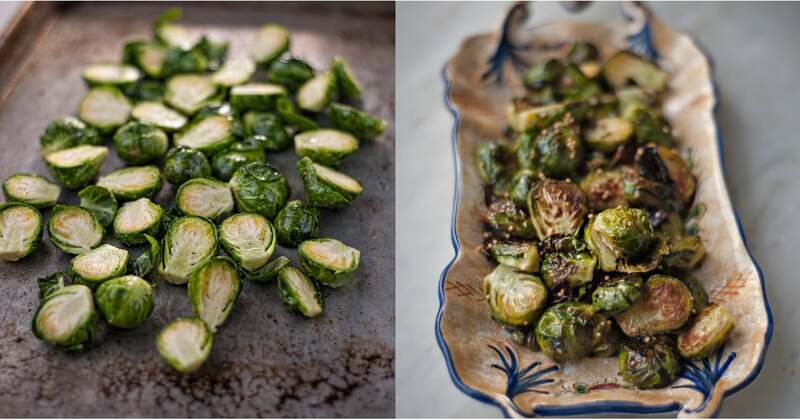 Without fail, every restaurant I go to serves up a plate of Brussels perfectly brown and crispy, while mine have more of a mushy and soggy texture — not exactly appetizing. And while some restaurants fry them or coat them in bacon fat, which of course makes them so tasty, you don’t need vats of oil to make Brussels sprouts crispy and delicious. Making sure they are evenly spread out and not on top of each other is key. He also said to make sure you roast them long enough at that high temperature. About 10-15 minutes should be good, but keep an eye on them; when they start to get browned, caramelized, and crispy, it’s time to take them out. Chef Cole is also a fan of olive oil and primarily uses it when roasting veggies. But for cooking at higher temps, he also recommends canola oil or grapeseed oil: the lighter, clearer oils that have a high smoke point. 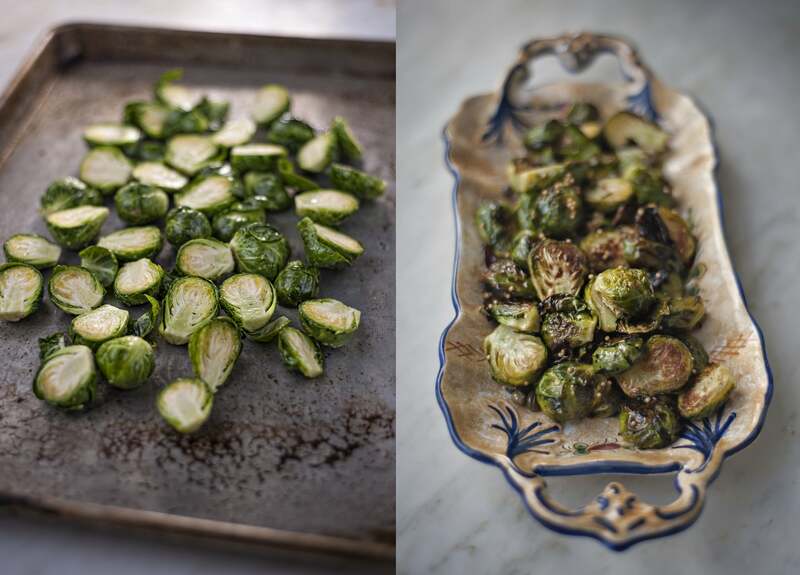 You don’t need a ton of oil to roast your Brussels, but he said you can finish it off with a drizzle of olive oil afterward or top with roasted garlic or even roasted chickpeas. And for the best Brussels sprouts possible, start with a quality veggie. Chef Cole recommends hitting up the farmer’s market instead of the supermarket for the best, freshest options. Brussels sprouts are in season all Fall and Winter long, so make sure you hit up your local farmer’s market, and get to roasting! Travel and expenses for the author were provided by Chatham Bars Inn for the purpose of writing this story.